Cambridge Analytica, the analytics company that became embroiled in a data mining scandal involving Facebook, is closing down. In a statement released last night confirming it was appointing an administrator, Cambridge Analytica said it had been the subject of "unfounded accusations". The company added that it had been "vilified for activities that are not only legal, but also widely accepted as a standard component of online advertising in both the political and commercial arenas". Cambridge Analytica has announced it is immediately ceasing all operations and has applied to appoint Crowe Clark Whitehill, an insolvency specialist, to act as an administrator. The scandal broke last month following whistleblower allegations to The Observer which detailed how Cambridge Analytica used Facebook’s data on behalf of political campaigns that included helping to elect US president Donald Trump. Former Cambridge Analytica employee Christopher Wylie said the profiles of 50 million users were harvested from the friend networks of 270,000 people who took an innocuous personality quiz. The data was sold to Cambridge Analytica and subsequently used to profile Facebook users and deliver pro-Donald Trump material to them. Following the exposé, Facebook suspended Cambridge Analytica from its platform, while chief executive Alexander Nix was suspended after he was secretly recorded by Channel 4 News allegedly discussing potentially bribery and entrapment. Nix denied any wrongdoing. Facebook’s share price plunged 7% on the Monday following the news breaking, with analysts worried it showed systemic problems at the social media giant. 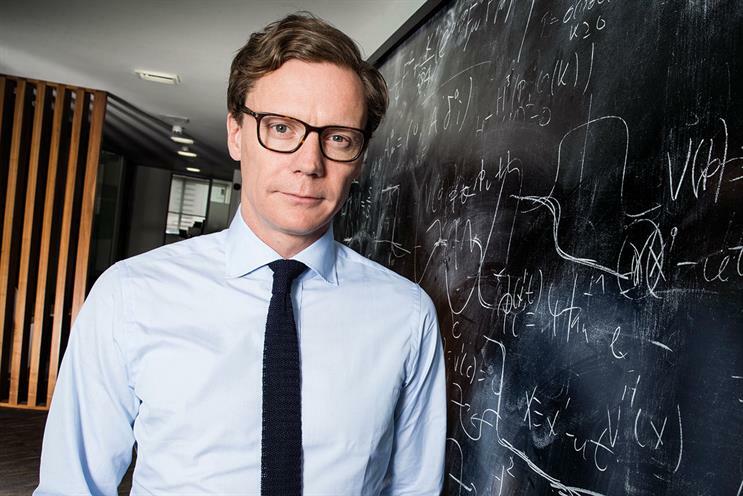 Cambridge Analytica's involvement with the Brexit campaign in 2016 also came into question after Nix wrote in Campaign in February 2016 that the company had "helped supercharge" the Leave.EU [Brexit] campaign. However, Nix told senior MPs last month that Cambridge Analytica "did not work with them". According to a Cambridge Analytica spokesman, the company had no involvement in last year’s EU referendum and the Nix article was penned by an advisor who "assumed Cambridge Analytica would eventually work with the campaign".